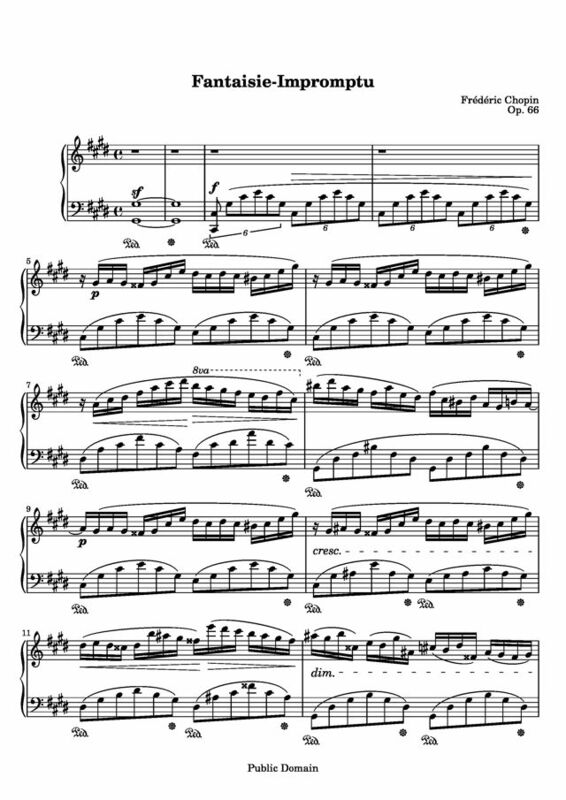 When I first heard a fellow student in the music hall in U of WI, Superior play this piece, I was taken in by it so much, that I told my own teacher that I simply had to learn that piece. Thankfully, I was playing at an advanced enough level and I managed to learn it. 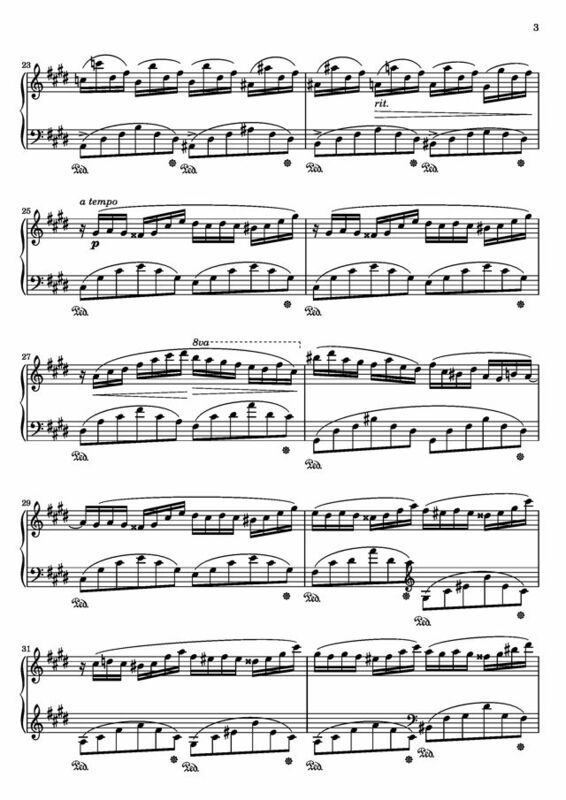 Today, it's my favorite and most complicated piece; it takes you in entirely when you hear it. It's nice, fast, sophisticated, full of emotion from beginning to end. There's never a boring moment here! Cette pièce est juste Magnifiiiique ! Incroyable. Chopin ever created. Grief, love, passion, death, searching, anger, emptiness, and fulfillment swell into a picture of flowing water, gardens, gentle breezes, free countrysides, mountains, forests, hills-- and when played by a virtouso, all sounds so effortless. Yet it is technically challenging. Exquisite! 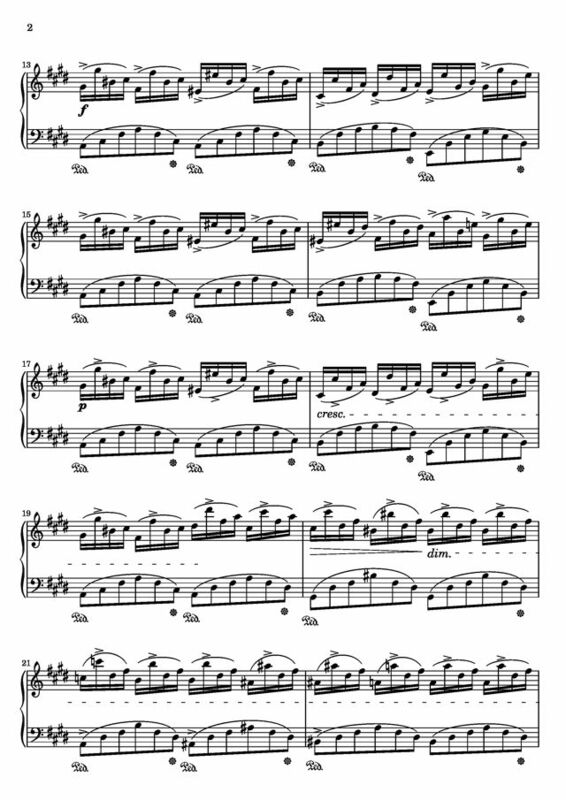 26 scores found for "Fantaisie Impromptu Op.66"
7 scores found for "Fantaisie Impromptu Op.66"